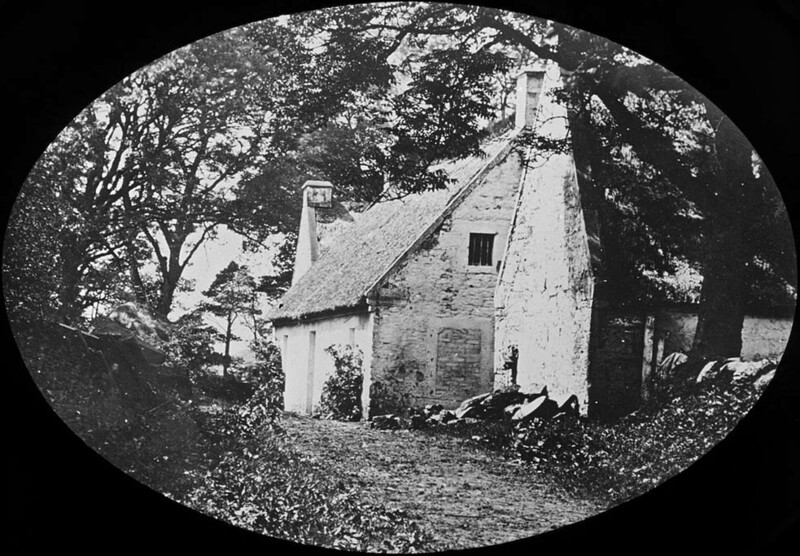 This is one of the oldest photographs available of Mossgiel, from way back in the early days of photography. It was taken by Ballantine of Cumnock in 1858, presumably just prior to alterations getting started. It is at present uncertain of any connection between Ballantine of Cumnock and Ballantine of Mauchline. The photograph certainly has the look of the previous illustration generally accepted to be the Mossgiel Burns would have recognised.